Convert player passion for soccer into a life-long love for the sport; Secure game intelligence through team play, fine-tune and accelerate speed of ball mastery skills, individual speed of play, and phase-play through group tactics. The Maroons U16 / U19 is a half-year developmental program for the high school soccer player who wants to improve their competitive level of play, understanding of the game, and ability to perform at a high paced, highly technical level. It is recommended that players participate in the HS Winter Development Program. Following tryouts typically held in late November, the team will prepare for league play in the spring which includes 2-3 formal training sessions each week. Core focus is on growing technical proficiency of first touch and increasing speed of tactical decision-making with a consistent execution of the principles of play. Tactical development and teaching expands as players’ abilities increase. Players should be consistently demonstrating advanced proficiency of the Maroons Style of Play. Players in this stage of the curriculum should have sufficiently mastered the content of the previous stages and are ready to focus on tactical and functional aspects of the game. See Player Age Chart to confirm appropriate player placement on Maroons U16 / U19. Players must tryout, based on age, and be selected to a team. Players are selected based on performance and proficiency at a required level as well as ability to commit to the team. Multiple teams are only formed in years with enough demand and quality of players. Most years, there is a U19 team only, and this accommodates all players. A winter and spring specific program where, following a tryout, players are added to a specific team. Teams typically train 2-3x week and play 10 games in the spring mostly on Sundays. Tryouts are held in mid-November and the winter program is usually open to all players and is focused on development. Each team is lead by a properly qualified Professional Coach Trainer. The instructors must meet a minimum level of qualification, holding at a minimum a NSCAA National Diploma or equivalent. These instructors are guided by the Maroon Development Curriculum,Maroons Style of Teaching, Maroons Style of Play, and Club Expectations for Coaches. Each teacher is guided by the Player Development Pathway. 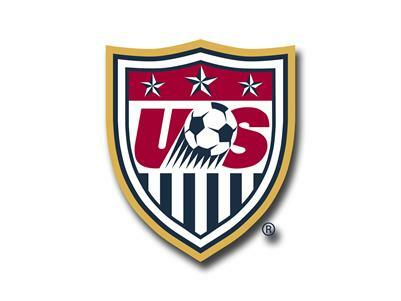 COACH: Coaches at U15-U19 must hold at minimum a “USSF National C” or “NSCAA National Diploma”; “NSCAA Advanced National Diploma” highly recommended. Total estimated cost for U15+ is $600 to $950 reflecting a winter and spring season only. Fees include uniform and training shirts, professional training, games, referees, insurance, fields, lights, and other Club expenses. Recommend 3 training sessions each week and supplemental physical strength and conditioning. Group challenges, team meals, team outings. Players specialize by position and functional and phase-play training will be used. Players earn the right to start games based on performance and each week’s participation.